Birthday Parties | Elite Sports Clubs: Where You Belong. It’s Not Just a Party…IT’S AN EVENT! 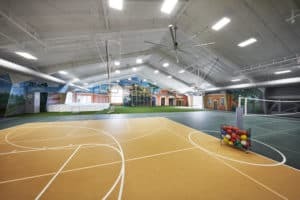 Whether you are hosting a birthday party, group outing, family celebration, or other events, our trained staff will make your time at Elite Sports Clubs a fun, stress-free experience! 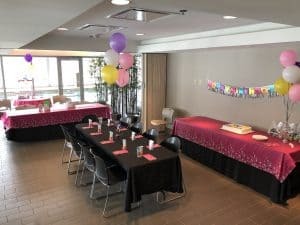 Interested in an Elite Birthday Party? We suggest that party reservations be made at least four weeks in advance. At times we can accommodate last minute requests, but it is always advisable to plan ahead. Every event includes a host & a party room. All spaces within the club are shared spaces. Gratuity is always appreciated. Invite your friends and family to play in our 30,000 sq ft indoor playground at our River Glen location. Serving up challenges, games in basketball, soccer, dodgeball, kickball, bowling, space maze, Balladium, Time Freak, an Arcade, and more! Click here for more information on larger event rentals in the Quad. Serving up challenges, games in basketball, soccer, dodgeball, or kickball on the sport court. Offered at Brookfield, Mequon, North Shore, and West Brookfield locations. 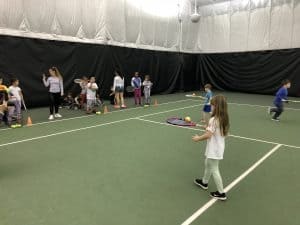 Elite will host a fun energetic, and age-appropriate dance or tennis party that will get the birthday child and guests active. We will provide a staff professional to instruct for 30 minutes of your party. Offered at all locations. At this full-service celebration, girls get treated to facial masks, mini-manicure/pedicure, and a corresponding DIY favor. Offered at all locations. “X” marks the spot with this complete pirate birthday party for kids. Sail the Seven Seas with fun pirate games, pirate keepsake, drawn beard, eye patch, and bandana! Offered at all locations. 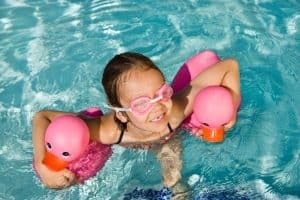 Let the kids make a splash at a pool bash. Complete with swimming, relays, and games. Offered at Brookfield, Mequon, and River Glen locations.